1) GE (General Electric) paid $1.5 billion dollars civil penalty for sub-prime house loans prior to 2007, to resolve claims over residential mortgage loans made by their WMC Mortgage unit, a company purchased by GE during the boom prior to the economic collapse in 2008. Their lending activities concealed the poor quality of the loans being made. 2) The Chevron oil company is buying the Anadarko Petroleum Corporation for $33 billion dollars which will put Chevron Corporation in the top ranks of energy companies. Chevron will be the third largest oil producer behind Exxon and Shell. 3) The GE20 group announced the global economy is slowing down faster than was expected, with an anticipated global growth of 3.3% for this next year. This is the lowest expansion since 2016, which may become worst if US-China trade tensions should increase. 4) 12 APR 19 Stock market closings: JP Morgan-Chase and Disney pushed stocks up. 1) Shale oil companies are adding even more new wells, but that is threatening the future of the US oil boom. Their strategy of drilling more wells chose to old wells has backfired because the new wells not only have lower outputs than the old wells, but the production of the old wells also declines. 2) Again, there are reports that the US-China trade talks are still progressing well and soon may end with an agreement to end the trade war tariffs. 1) The takeover of Time Warner by AT&T, an $81 billion dollar acquisition, has been cleared by the US Appeals Court. This acquisition will bring Warner Brothers, HBO and Turner to AT&T’s video, mobile and broadband services. 2) US farm debt soars to levels that haven’t been seen since the 1980’s farm crisis. The debt has risen from $385 billion dollars to $409 billion dollars which indicates a high strain on the US farm belt, a result of commodity prices, storm damage and loss of key exports principally China. The present day situation is similar to 1980’s financial collapse of American farms. 3) China-US are making real progress in trade talks, but the talks are far from being completed. US is taking a tougher stand by insisting on an all or nothing agreement. 1) Germany’s business outlook falters amid Brexit concerns of potential US tariffs, especially on their car exports in addition to uncertainty of the German people. Germany has the largest European economy. 2) The father of Reaganomics says it’s time to get out of the market. He cautions that the end of easy money policies, the huge deficit and a near record economic expansion are all signs of a pending market collapse. 3) Trade talks continue between China and US as tariff deadline nears causing worries of talks failing. But after meeting with his advisers and Chinese officials, President Trump has extended that deadline citing the talks are going so well. Negotiators have reached a compromise on key issues, such as China’s requirement that American companies give intellectual property and technology to do business in China, more purchases of agriculture and energy products such as liquid natural gas. But so far, there hasn’t been a signing of an official agreement. US SUPREME COURT WILL HEAR CASE ON INSIDER TRADING!!!!! 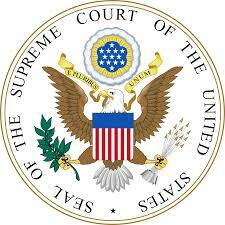 The US Supreme Court in the first week of October, will be hearing an important case on insider trading. The case is important because it will limit prosecutors setting out on litigation against hedge fund managers and their hedge funds. The case that the justices will hear is one of Bassam Salman, an Illinois investor who accumulated $1.2 million dollars from inside trading, because his brother in law had insider trading information on Citigroup Inc clients. Salmon’s brother worked for the Citigroup as well. In over 20 years the Supreme Court has never once decided an insider trading case, most times cases were handled in lower courts and were defined by the SEC to pursue litigation. This case is one of its kind for the financial regulatory body. US FED RESERVE PLANNING INTEREST RATE HIKE IN SEPTEMBER!!!!!!!!!!!! US Federal Reserve may be raising interest rates as early as the first week of September. The Federal Reserve just completed their annual retreat in Jackson Hole, Wyoming. The interest rate hike coming, has seen a surge of the dollar against it’s Asian market counterparts. CHINA’S INSTITUTIONAL INVESTORS ARE FOCUSED ON GLOBAL REAL ESTATE INVESTMENTS!!!!!!! 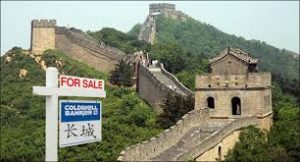 China’s institutional buyers are closely intertwined in global real estate markets. China’s investors have long been focused on long term investments, particularly in real estate assets. China’s largest real estate investor CIC (China Investment Corporation) has been investing in large real estate assets since 2013. They poured in over 5 billion dollars in financing real estate purchases. US BANKS AHEAD OF THEIR EUROPEAN COUNTERPARTS BECAUSE OF BREXIT!!!!!!!!! The US banks revenue from 2015, beat the revenue of Euro banks by almost double in profit. European banks earned $26B last year, compared to their American counterparts, whom earned $43B the same year (2015). In 2016 the revenue between the two powerful continents will expand wider; especially since Great Britain has made the decision to BREXIT the EU. 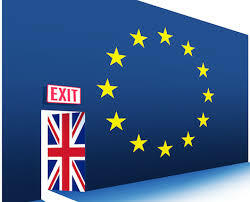 Analysts believe this will leave a monstrous dent in the financial sector and the banking industry in Great Britain. With no power players in sight; many investment bankers are already inquiring high end employment agencies about referrals and transfer opportunities in the US, or other market driven countries. 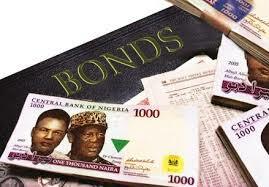 NAIRA BONDS UP THIS YEAR IN 2015…. BEATING ESTIMATES…. Nigerian bonds are up over 7% this year alone. In October Naira bonds beat the US stock market over 24% according to data provided by Standard & Poors report, first reported by Channels Tv online. ASIAN MARKETS POST SMALL GAINS AFTER CHINA’S RATE CUT…..
Asian stocks posted higher gains because of the rate cuts that were provided by China. China cut it’s deposit and lending rates, so it can offset deflation. The gains posted in Asia were somewhat limited because of small data adhered in the U.S. equity markets, which did not show major significance in its economic data.